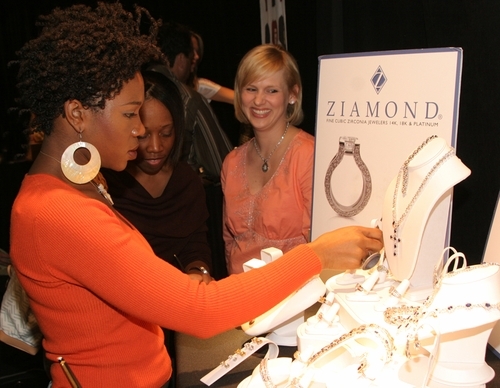 Ziamond Cubic Zirconia CZ Jewelers welcomed India Arie to view the collection of gold and platinum jewelry. Ziamond features the finest hand cut and hand polished cubic zirconia cz available. Our expert craftsmanship and attention to detail provide you with the best possible products. All Ziamond cubic zirconia cz jewelry is set in 14k gold, 18k gold or platinum.